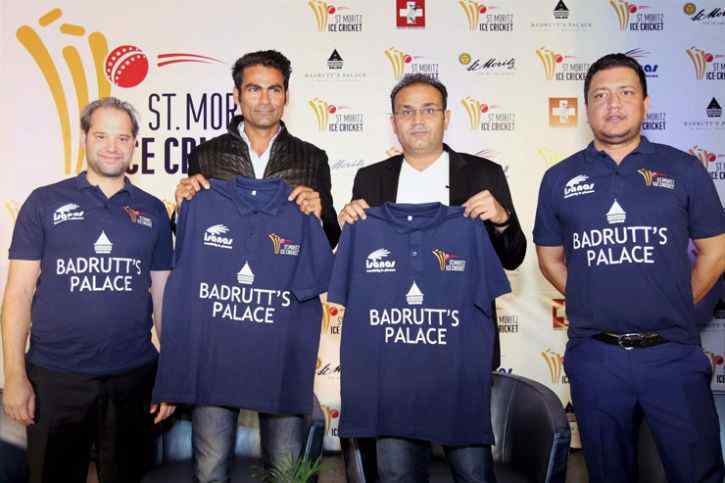 Former India opener Virender Sehwag and middle-order batsman Mohammad Kaif on Wednesday launched the inaugural edition of St. Moritz Ice Cricket 2018. The two-day event, which will be held in St.Moritz in Switzerland on February 8 and 9 next year, against the serene and breathtaking backdrop of the Swiss mountains, will host two matches over two days. Yesteryear greats like Mahela Jayawardene and Lasith Malinga for Sri Lanka; Pakistan pacer Shoaib Akhtar; Australia’s Michael Hussey, South Africa’s Graeme Smith, Jacques Kallis; Daniel Vettori, Nathan Mcullum, Grant Elliot, England’s Monty Panesar and Owais Shah from New Zealand are the other star attractions for the event. “Congratulations to Vijay and Akhilesh for creating this event. I am excited to experience a different format of the game, meet old colleagues and enjoy the beauty of St. Moritz. I expect that this should be able to add another dimension to cricket and we have something new to offer to the cricketing fans across the world,” Sehwag said at the launch of the event. The “Cricket on Ice” event was originally started by the British on the St. Moritz frozen lake and has been played ever since for over 25 years. The lake freezes into an extremely thick layer of ice which is then covered by the soft falling snow, enabling the lake to withstand more than 200 tons of weight, which makes it the perfect area to construct a pavilion village and grandstands to watch and support the festivities. 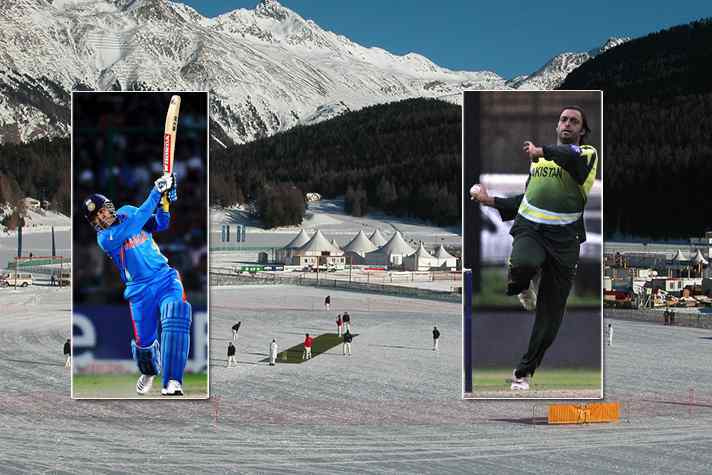 Cricket on Ice in St Moritz is a sensational experience, attracting international players and high-flying business people from all over the world. It provides teams the opportunity to participate in the most prestigious event in the Swiss cricketing calendar in an atmosphere of fun and sporting brilliance. 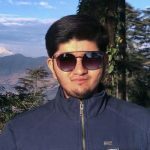 And it also provides businesses with an exceptionally unique platform for communication, networking and, of course, business.